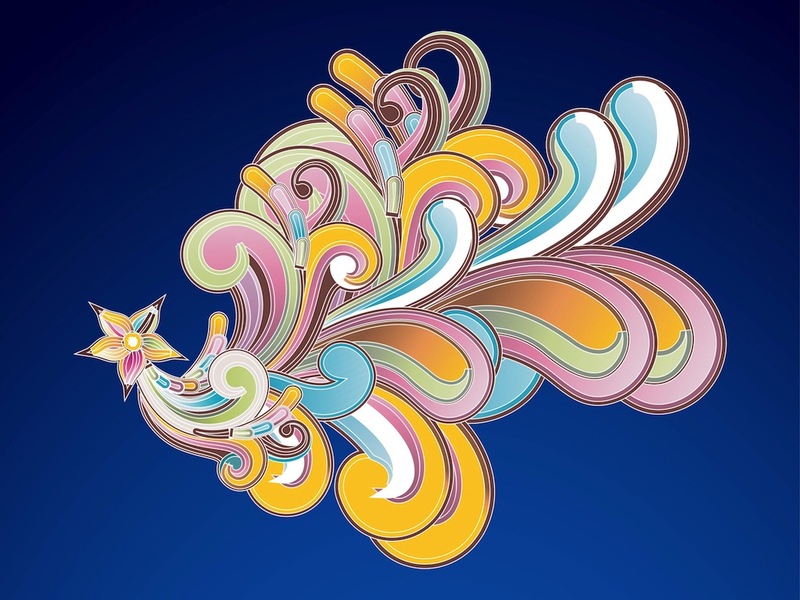 Vector illustration of an exotic flower. Small blossom shaped like a star and very big curved lines in different colors coming out of the blooming flower. Pointy petals with stripes in different shades, gradient color spirals and waving lines. Free vector graphics to use as decoration in all your spring, flowers, floral and nature projects. Tags: Colorful, Floral, Lines, Petals, Spirals, Swirling, Waves.